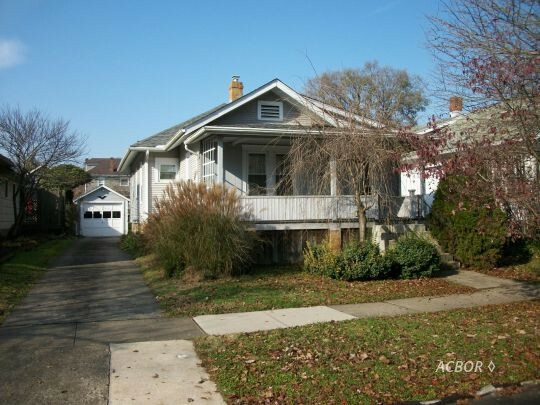 This East Side Cottage Style two bedroom is in excellent condition and ready to move into. Large living room with 9' ceiling and built in book shelves, freshly painted through-out. New stainless steel gas range and built in micro wave in the eat in kitchen. Wood floors in the bedrooms. New electric breaker box in the basement with its freshly painted floor, washer & dryer stay. One car garage with plenty of off street parking, and alley access off the back of the property. Convenient to library, bike path, walk to Village Bakery for coffee and Avalanche Pizza! Listed exclusively with Grueser Realty & Building, Broker Owned.